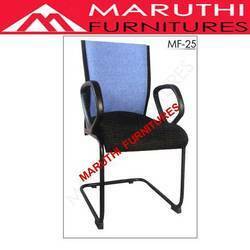 Being a quality-focused manufacturer & supplier of Visitors Chairs, we provide an ideal solution to offices and businesses for their daily scenes. 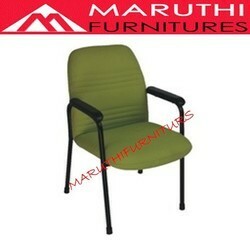 Our chairs are excellent in ergonomics and design, meeting overall satisfaction of the customers. 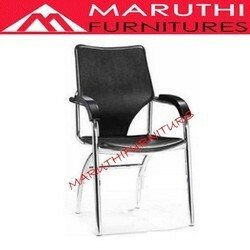 Our Visitors Chairs provide immediate comfort and show representative attributes, and thus, these are perfect for Waiting Room Seating, Office Conference, Meeting Lounge Area, etc. Manufactured from top grade frame materials and seat fabrics, the offered chairs help create a peaceful seating atmosphere. Also, our Visitors Chairs mix some important concepts like sturdiness, simplicity and cost-effectiveness. 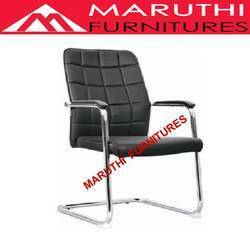 Sear and Back rest : Chrome frame with pu cushion leather look. Leg frame : Chrome coating . 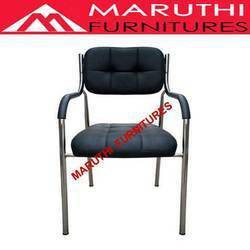 Seat and Back rest : Cushion leather look. Frame : Ms Chrome coating frame . Arm rest : PU soft rest. 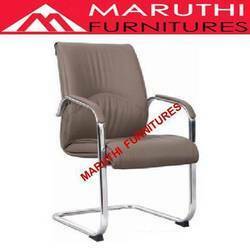 * Frame and legs made of 1 mm thick stainless steel tube with outer diameter of 16mm . * Seat and back made of 16 mm thick plywood and PU foam. 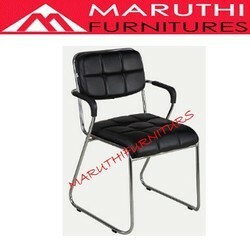 * Frame and legs made of stainless steel . 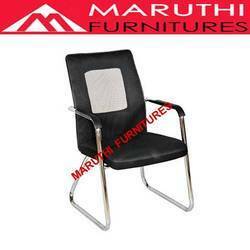 * PVC upholstered seat and back made of 12mm plywood and PU foam. * Thick cushion on seat and back for extra comfort. 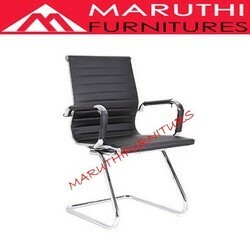 Office visitor chair : Leather look or fabric look available . color s option done. ss frame look seat and back rest cushion. more models available. 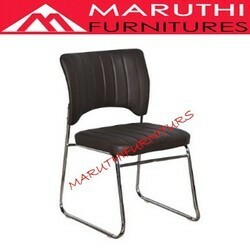 * PVC upholstered seat and back. * PU foam for complete comfort. * Chrome plated MS frame. 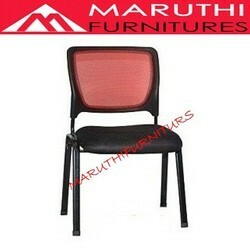 * Fabric upholstered chair with mesh back . * Foam cushioned seat . Seat and back Ms frame with pu cushion fabrick look. leg frame 1inch round oil pipe black powder coated look . 18 guage thickness. armrest Pu pad . * Made of chrome plated steel 1mm thick . * Seat and back made of woodboard ( 12mm thick ) + Foam + hard PVC upholstery. * Back cushion thickness 25mm & seat cushion thickness 20 mm. * ideal for homes , restaurants , marriage halls etc. 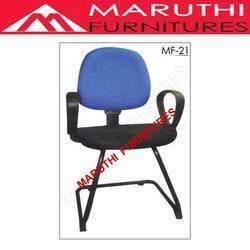 MS frame Black color foam cushinoned seat . Chairs can be arranged and interconnected at the base for more organised seating. • Premium chair without arm, stunning internation rattan finish , ergonomically designed to adjust itself for maximum sitting comfort. • Dimensions : Height - 880 mm , Width - 490 mm , Depth - 545 mm. • Colors : White , Red , Blue , Black , Mehndi Green , G. Brown , Wenge . 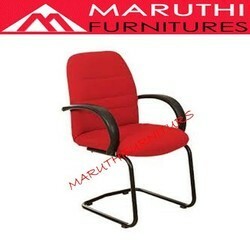 Leveraging on our quality oriented professionals, we are offering Office Chair to our clients. 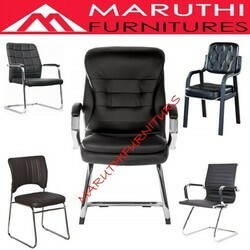 There is an exclusive range of this chair available with us. 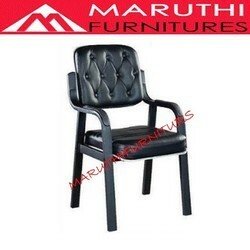 It has been designed in excellent manner and is known for its smooth texture and premium quality. 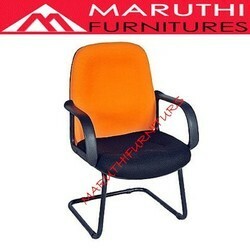 This chair is able to retain its quality and color for years. It has awesome view and is designed to reflect office theme. 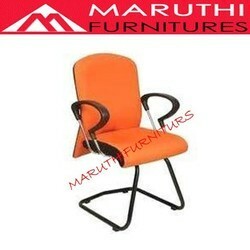 This chair does not break and for this reason is preferred choice of our clients. Seat and Back rest : Plywood with cushion fabrick look. Leg frame : MS steel powder coating. Arm rest : PP pad. 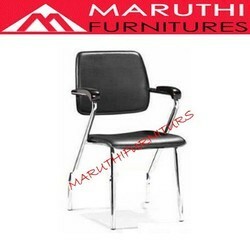 Seat and Back rest : Ms chrome frame with netted look. Leg : chrome coating frame. Frame : Ms Chrome coating . Leg frame : Ms steel with powder coated . Arm rest : with arm PU handle. Leg frame : MS chrome coating. 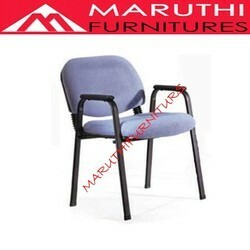 Seat and Back rest : Ms frame with pu cushion fabric look. Leg frame : Ms steel with powder coated finishing .